Watermen’s Appreciation Day 2016 – All you need to know is right here! – Talbot Watermen Association Inc.
Watermen’s Appreciation Day 2016 – All you need to know is right here! Just announced!! Join Celebrity Captains Josh & Casey of the Cornelia Marie at this year’s Watermen’s Appreciation Day!! The Talbot Watermen Association is bringing the 7th annual Watermen’s Appreciation Day to the Chesapeake Bay Maritime Museum on Sunday, August 14, 2016 starting at 10am. Josh Harris and Casey McManus will be at this year’s Watermen’s Appreciation Day! They will be signing autographs, bringing silent auction items, meeting and greeting guests! Josh and Casey will be bringing one of the crabs they catch, steaming it and showing how to eat it. Want to learn more about Josh and Casey? How they got into Crabbing? We have the story! The gates to this year’s event open at 10:00am, with all of the exhibits at the Museum, along with vendors and food being ready for you to join them for a day of fun and appreciation for our Watermen. In addition to meeting Josh and Casey, other events to look forward to in this year’s Watermen’s Appreciation Day, will be the World Famous Boat Docking contest, steamed crabs and other food, live music, beer, family activities, children’s on-the-water activities include a Pot Pie skiff rowing competition, with prizes awarded, and more. This year, during Watermen’s Day, CBMM hosts the 12th Annual Chesapeake Bay Buyboat Association’s reunion, August 12-14. This is a rare opportunity to see and board, stand on the decks, chat with the owners and understand the Buyboats’ importance in history. Buyboats—including CBMM’s Winnie Estelle—were used to haul seafood and cargo along Chesapeake Bay waterways before many of the Bay’s peninsulas were connected by bridges. As the seafood harvest declined and highways became the mode of travel, the large graceful buyboats faded from local waters, leaving no more than 30 of the oyster buyboats remaining on the Bay. Starting at noon, the day’s catch of steamed crabs—served by watermen—will be available for purchase, in addition to beer, water, soda, hot dogs, hamburgers, ice cream, and more. Also beginning at noon, live music from the historic Tolchester Beach Bandstand will have people tapping their toes and dancing along CBMM’s waterfront. Be sure to check out this year’s silent auction, with Chesapeake-related items available to the highest bidders, including work by noted Chesapeake artist Marc Castelli. Our celebrity guests, Josh and Casey will also be bringing items to this year’s event. The auction takes place in the Small Boat Shed, with bids taken until 4:30 p.m., and all proceeds supporting the Talbot Watermen Association. Throughout the day, festival-goers can get an up-close view of CBMM’s floating fleet of historic Chesapeake vessels, including the 1889 bugeye Edna E. Lockwood, a registered National Historic Landmark whose log-hull is under restoration now through 2018. During the festival, guests will also have full access to CBMM’s 12 exhibition buildings, including the 1879 Hooper Strait Lighthouse. “Watermen’s Day is an annual favorite among locals and guests alike,” said CBMM President Kristen Greenaway. “You can meet many of the watermen who work to bring seafood to tables across the region, while having a great time celebrating the Chesapeake in such an incredibly authentic way. And this year, we are honored to welcome the Chesapeake Bay Buyboat Association to CBMM.” The event is hosted by TWA in cooperation with CBMM, with proceeds benefiting both organizations. 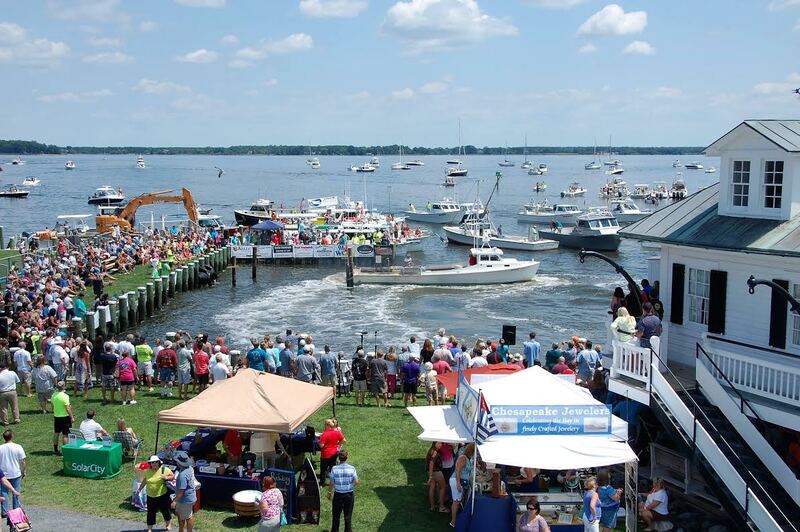 Admission to the 10:00 a.m. to 5:00 p.m. rain or shine event includes the Chesapeake Bay Buyboat Reunion, boat docking contest, celebrity appearances, and live music at $18 for adults, and $8 for children 6-17, with all children five years of age and under admitted free. CBMM members along with licensed watermen and their immediate families get discounted admission at $10 per adult, and $6 per children ages 6-17. Regular admission and CBMM Member tickets can be purchased online at bit.ly/WAD2016, with tickets also sold at the door the day of the event. Discounted watermen’s tickets will be available at the door the day of the event, with an active watermen’s license shown. 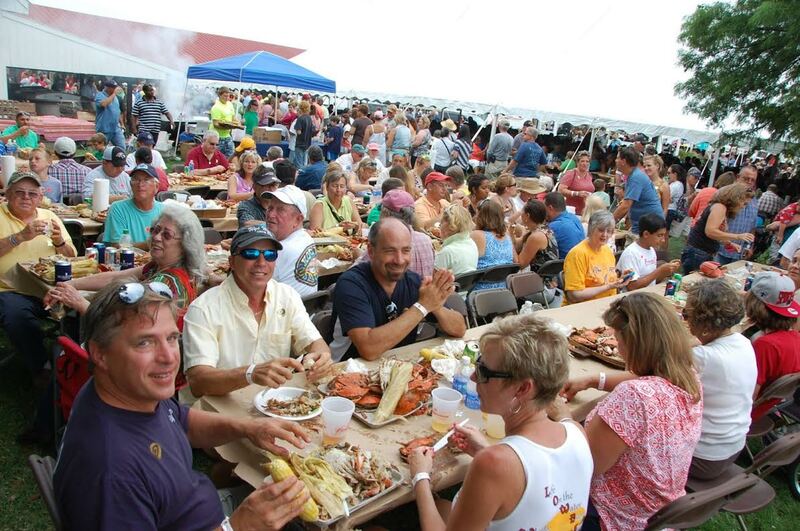 Boat rides, steamed crabs, beer, and additional food and beverages will be available for separate purchase. Free event parking will be available at St. Michaels High School, with complimentary shuttle service to CBMM running throughout the day. For safety reasons, non-service dogs need to be kept home during CBMM festivals, including Watermen’s Appreciation Day. Leashed dogs are only permitted on CBMM’s campus during regular operating hours. Carry-on alcohol from dock or land is prohibited. Next Next post: More about Casey and Josh – this year’s guests at Watermen’s Appreciation Day 2016!